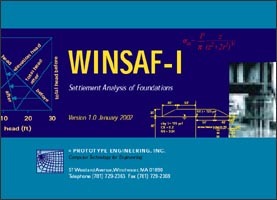 WINSAF-I computes one-dimensional settlements, that is, settlements computed by summing the vertical strains along a vertical profile. 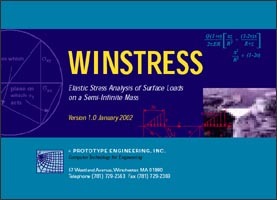 Stresses are found from either Bossinesqs or Westergaards solutions for vertical surface loads on a half-space. Eleven surface loading options are available. In the case of rectangular or circular loads, the user can specify up to 25 simultaneous loads. 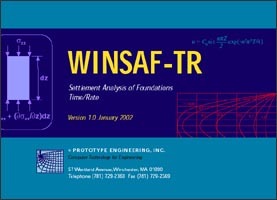 WINSAF-TR performs one-dimensional consolidation analysis based on Terzaghis classical theory. The system can deal with the consolidation of a single layered system, a two-layered system, or a system with radial drainage.